Are you looking for some amazing cookie in a jar recipes for some last minute gifts for any loved one? I am the Queen of “last minute.” In fact, my husband calls me and my girls the “hot mess express” because we are always running to something…late. And while I’m getting better at finishing the most important things done in life, I often need guides like this one in my life for a quick gift. These cookie recipes include most of what I already have on hand in my pantry. Plus, I always have wide mouth mason jars on hand in my storage room. All of these recipes require a Quart Sized wide mouth mason jar. But, of course, you could always cut the recipe by half and use pint mason jar cookie recipes. But why would you want to? This is definitely a gift for cookie lovers and families who love to bake cookies together. These cute and thoughtful cookie jars make some of the best unique gifts and will be a hit with anyone on your list. 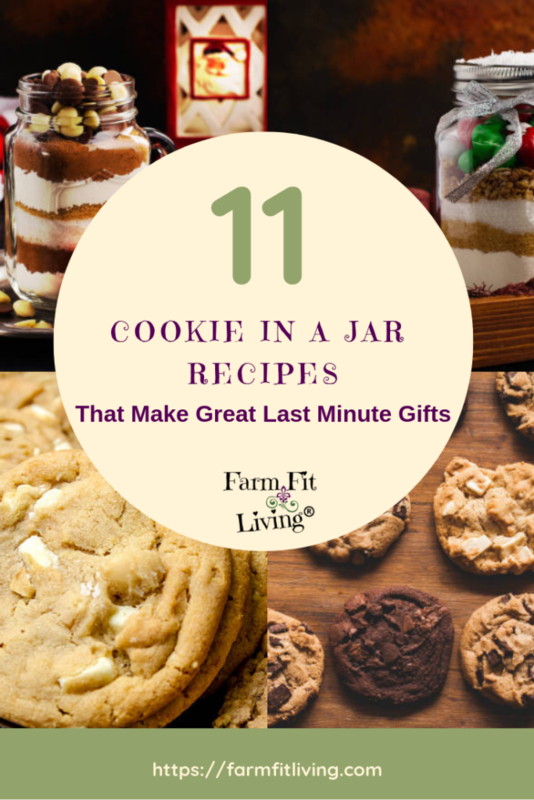 Give you 11 of our favorite cookie in a jar recipes for gifts. Show you where you can SAVE EVEN MORE TIME by simply printing the tags. How these cookies in a jar make a great last minute gifts. Also, keep in mind that your jar gifts will only have the dry ingredients in them. You’ll need to include the tags with the recipes and extra ingredients on them to attach to your gift. Yee Haw! I just love this nutty and sweet cookie recipe that makes 3 dozen cookies. 1 1/3 cups flour mixed with 1 tsp. baking powder, 1 tsp. baking soda and 1/4 tsp. salt. Layer ingredients one by one into the jar. Press firmly after each layer. Add: 1 Stick of Melted Butter, 1 slightly beaten egg, & 1 tsp. vanilla. Mix until completely blended. Finish mixing with your hands. Place 2 inches apart on sprayed baking sheets. Bake at 350 degrees F for 11-13 minutes. Allow cookies to cool on the pans before moving them over to cookie racks. This recipe makes 3 dozen delicious chocolate chip cookies. 1 3/4 Cups Flour mixed with 1 tsp. baking soda, 1 tsp. baking powder and 1/4 tsp. salt. Layer ingredients in a 1 quart wide-mouth canning jar. It will be a tight fit. Press each layer firmly in place before adding next ingredient. Empty jar of cookie mix into a large mixing bowl. Use your hands to thoroughly mix. Add: 1 1/2 sticks soft butter, 1 slightly beaten egg and 1 tsp. vanilla. Mix until completely blended. The dough is sticky. Flour your hands and mix with your hands. Refrigerate the dough for a few hours. Shape into balls the size of walnuts. Place 2 inches apart on sprayed baking sheets. Bake at 350 degrees for 11-13 minutes. Cool for 5 minutes on baking sheet. Carefully remove to racks to finish cooling. Layer ingredients in the order given in a 1 quart wide mouth canning jar. Add: 1 1/2 sticks softened butter, 1 slightly beaten egg, and 1 tsp. vanilla. Shape into balls the size of walnuts. Place balls 2 inches apart on sprayed baking sheets. Bake at 350 degrees F for 11 to 13 minutes until edges are lightly browned. Cool 5 minutes on baking sheet. Remove cookies to racks to finish cooling. 1 1/2 firmly packed powdered sugar. 1 1/2 cups flour mixed with: 1 tsp. baking powder and 1/4 tsp. salt. Empty jar of cookie mix into large mixing bowl. Use your clean hands to thoroughly blend mix. Add butter, peanut butter, egg and vanilla to the mix. Mix until completely blended. You’ll want to finish mixing with your hands. Place mixture into the refrigerator to chill. Shape into balls the size of walnuts and place 2 inches apart on sprayed baking sheets. Press balls down with a fork. Bake at 350 degrees for 9-11 minutes until edges are lightly browned. Cool 5 minutes on baking sheets and remove cookies to racks to finish cooling. 2 cups flour mixed with 1/2 tsp. baking soda and 1/2 tsp. baking powder. Layer ingredients in order given in a quart sized wide mouth canning jar. Add: 1 stick of softened butter, 1 slightly beaten egg and 1 tsp. vanilla. Bake at 375 degrees for 12-14 minutes until edges are lightly browned. Cool 5 minutes on baking sheet. Remove cookies to racks to finish cooling. 3/4 cup flour mixed with 1/2 tsp. baking soda and 1/2 tsp. baking powder. Layer ingredients in order given in a quart-sized wide mouth canning jar. Press each layer firmly in place before adding next ingredient. Add: 1 stick softened butter, 1 slightly beaten egg, and 1 tsp. vanilla. Bake at 350 degrees for 10-12 minutes until edges are lightly browned. Cool 5 minutes on baking sheet. 2 1/2 cups flour mixed with 1 tsp. baking powder. Layer ingredients in order given in a 1 quart “wide mouth” canning jar. It will be a very tight fit. Press each layer firmly in place before adding next ingredient. Add: 2 sticks softened butter and 1 tsp. vanilla. Mix completely. Use your hands to finish mixing with your hands. Shape into balls the size of walnuts and place 2 inches apart on sprayed baking sheets. Flatten with fingertips. Bake at 350 degrees for 14-18 minutes until edges are very lightly browned. Cool 5 minutes on baking sheet. Remove cookies to rack to finish cooling. 3/4 cup flour mixed with 1 tsp. baking powder. Layer ingredients in order given in a 1 quart wide mouth canning jar. Press each layer firmly in place before adding next ingredients. Add: 1 stick softened butter, 1 egg and 1 tsp. vanilla. Bake at 350 degrees F for 12-14 minutes until edges are lightly browned. Be sure to cool completely on baking sheet before removing cookies to rack. Layer ingredients in order given in a 1 quart wide mouth canning jar. Empty cookie mix into large mixing bowl. Thoroughly blend mixture with hands. Mix until completely blended. It will take a while to mix into a smooth dough. Shape into walnut sized balls. Place 2 inches apart on sprayed baking sheets. Bake at 375 degrees for 12-14 minutes until tops are very lightly browned. Cool 5 minutes on baking sheet. Remove cookies to racks to finish cooling. 8 large Reese’s Peanut Butter Cups cut into 1/2 inch pieces. Layer ingredients in order given above. 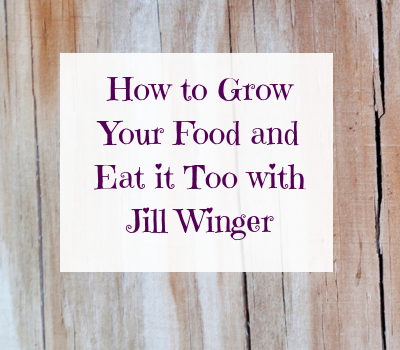 Use a wide mouth quart-sized canning jar. Press each layer firmly in place before adding next ingredient. Empty remaining cookie mix into large mixing bowl. Use your hands to thoroughly blend mix. Add: 1 stick softened butter, 1 slightly beaten egg and 1 tsp. vanilla. Bake at 375 degrees F for 12-14 minutes until edges are lightly browned. Cool 5 minutes on baking sheets, then remove cookies to racks to finish cooling. Who doesn’t love a great brownie? These chocolatey goodies makes 2 dozen brownies. 1 1/4 cups flour mixed with 1 tsp. baking powder and 1 tsp. salt. Add: 1 1/2 sticks of melted butter and 4 slightly beaten eggs. Spread batter in a sprayed 9X13 inch baking pan. Bake at 350 degrees F for 30 minutes. Cool completely in pan. Cut into 2 inch squares. If you’re a fan of brownies, you’ve got to try this zucchini brownies recipe! Mason jar gifts are so easy and fun to create. And like I mentioned, handmade gifts are priceless. There’s just something about handmade that just result in the best gifts. I hope you enjoyed all the cookie in a jar recipes here that make great last minute gifts. Because no one has time to stress over gift giving, I suggest you check out my other gift guides for any occasion. They include best gifts for men who have everything, best gifts for boyfriends, and trending gifts for her. And even gifts for your pets. Visit my gift guides page here for free!